Stand for children in foster care and foster families by donating your time, talents and financial gifts to our Foster Parents' Night Out. 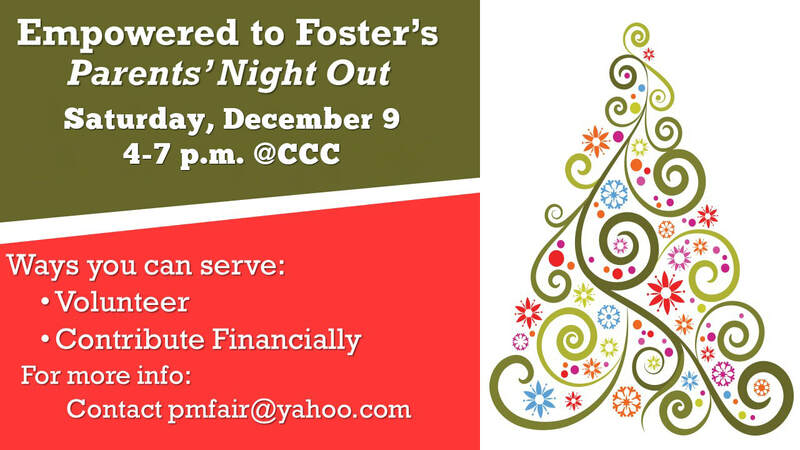 On Saturday, December 9, from 4-7 p.m., CCC's Empowered to Foster ministry will host children from local foster families while the parents enjoy an evening out. ​To volunteer or contribute financially, contact Misty and Patrick Faircloth.